The second is that the size of the CAP budget is not known when the details of the CAP legislation are being negotiated (I refer to this as the budget issue). Uncertainty over the budget may bias the negotiations towards a more conservative CAP, in the sense of one with a lower level of environmental and climate ambition. However, I express scepticism that a higher budget would lead to a greater level of environmental and climate ambition, unless this is specifically mandated in the European Council conclusions on the MFF. The third is that at least some of the decisions to be made in the CAP regulations may well be referenced in the European Council conclusions on the MFF. From the European Parliament’s perspective, this is an encroachment on their powers of codecision over CAP legislation and could potentially complicate the final trilogue negotiations (I refer to this as the competences issue). Despite the intervention of the European Parliament elections in May 2019, there is still a pathway which would allow the CAP legislation to come into effect from 1 January 2021. However, there are major uncertainties and stumbling blocks which could derail this schedule. These include elements of the budgetary framework such as disagreements on the size of the MFF (and thus the CAP) budget as well as on the issue of legislative competence over issues with budgetary consequences. In this post I provide an overview of these debates based on early indications of the Council’s and Parliament’s positions on these issues. First, let us examine the timeline for the MFF negotiations. European Council President Donald Tusk prepared a Leaders’ Agenda in October 2017 at the request of EU leaders for the series of European Council meetings in the two years up to the European Parliament elections in May 2019. This envisaged that the June 2019 Summit would review progress on the MFF negotiations with a view to concluding the negotiations later in 2019, i.e. after the European Parliament elections. The European Council had a further discussion of the MFF timeline at its informal meeting in Brussels in February 2018. In a briefing prepared for this meeting, the possibilities of reaching agreement with the Parliament prior to May 2019 were explored. President Tusk reported that “Consultations have shown that many Heads of State or Government, while prepared to work swiftly, find this timeline unrealistic”. At its meeting in June 2018, the European Council noted the Commission’s presentation of the MFF package on 2 May 2018 and requested that both the Parliament and the Council would examine these proposals as soon as possible. The next step is to examine how this timeline for the MFF negotiations will influence the timeline for the CAP negotiations. The procedural steps in negotiating the 2013 CAP reform are a useful guide. The Commission put forward its legislative proposal in October 2011. The COMAGRI rapporteur draft reports were available in May 2012. It then took some time to process the thousands of proposed amendments (7,400 in total). Compromise amendments were available in December 2012. COMAGRI voted through its proposal for a negotiating mandate in February 2013. The text noted explicitly that because the financial envelope was not yet fixed it proposed to open interinstitutional negotiations based on a mandate rather than a formal report. Parliament approved this mandate in March 2013. In the same month the Council agreed its general position. The European Council agreed its MFF conclusions in February 2013. Thus the trilogues on the CAP legislation began only after the European Council political agreement on the MFF but prior to the European Parliament giving its consent. Political agreement on the CAP legislation was reached by the co-legislators in June 2013 and in the same month the Council and Parliament negotiators reached a political agreement on the MFF regulations. The agreed texts on the CAP regulations emerging from the trilogues were voted on by COMAGRI in September 2013 and its reports were approved by Parliament on the first reading in November 2013. The Council then notified the Parliament that it agreed with its position in December 2013 and the legislation entered into force. – The Parliament agreed its negotiating mandate in the absence of MFF conclusions. However, the Council did not finalise its general approach for the trilogues until the European Council MFF political agreement was known. This agreement contained specific directives on aspects of the CAP legislation, and thus became part of the Council’s negotiating mandate for the trilogues. – The interinstitutional negotiations on the CAP legislation began and were concluded at the same time as the Parliament and Council were negotiating on the MFF legislation. The negotiations were able to reach agreement on the CAP even in the absence of a final agreement on the MFF figures (although there was a broad understanding that the European Council’s figures were not likely to be significantly changed). For the CAP post 2020 negotiations, the Parliament has moved ahead quickly to prepare its negotiating mandate, again in the presence of uncertainty on the size of the future CAP budget. The Commission made its proposal on 1 June 2018. The rapporteur reports were available early last month (November) with a deadline for amendments of 3 December. Very ambitiously, the AGRI Committee plans to vote on these amendments in mid-February and to put the three reports as resolutions to the Parliament in plenary in March which would then become its negotiating mandate. Even if the AGRIFISH Council as well as the Parliament were able to agree their negotiating mandates by March 2019, because elections are held to the European Parliament in May, it is unlikely that trilogue negotiations would begin until the new Parliament is in place and new rapporteurs appointed. It will be up to the new Parliament to decide whether to enter the trilogues based on any mandate agreed in this Parliament or whether to start afresh. However, if the European Council cannot reach a political agreement on the MFF until the autumn of 2019, the AGRIFISH Council is unlikely to be able to finalise its general approach until then. One possibility is that the Council could agree a partial general approach which would not cover the budgetary aspects of the draft regulations. This would allow interinstitutional negotiations to proceed earlier with the Parliament on the non-budgetary aspects of the CAP regulations. This is the procedure being followed in another sectoral programme, the regulation on Horizon Europe, the successor to the Horizon 2020 research programme. However, it is not evident that this procedure is feasible in the case of the CAP regulations, given the more extensive guidance the European Council may want to provide. Even if the AGRIFISH Council is required to wait until a political agreement on the MFF is reached before entering trilogue negotiations on the CAP, this could still allow a political agreement in the spring of 2020, thus allowing the new CAP to enter into force on 1 January 2021. However, it is clear there are many potential obstacles and stumbling blocks to maintaining this schedule. The second budgetary issue relevant to the CAP negotiations is of course the size of the budget. The Commission proposal would lead to a reduction in CAP spending in current prices of between 3-5%, and a reduction of 12-15% in constant price terms, depending on how the comparison with the 2014-2020 MFF is done. The European Parliament, supported by the agricultural Ministers of most Member States, has called for the CAP budget to be maintained in real terms. Several Member States have indicated that they are willing to support an increase in the size of the next MFF, although they have been supportive of the Commission proposal rather than the much more ambitious spending proposed by the Parliament. There are also a few Member States who reject the notion that the budget should be increased and call for a smaller budget following the departure of the UK. The Parliament’s opening position is spelled out in its recent resolution passed on 14 November last responding to the Commission proposal. The table below reproduces its position in both constant 2018 and current price terms (the difference between the two sets of numbers is based on an assumed 2% rate of inflation each year, regardless of the actual rate of inflation in the EU-27 economy which may turn out to be higher or lower). The Parliament’s position is based on an increase in the overall MFF of 22% in 2018 prices compared to the Commission’s proposal of an increase in 5%. This would also allow it to maintain the CAP budget in 2018 prices compared to the Commission’s proposed cut of 15%. 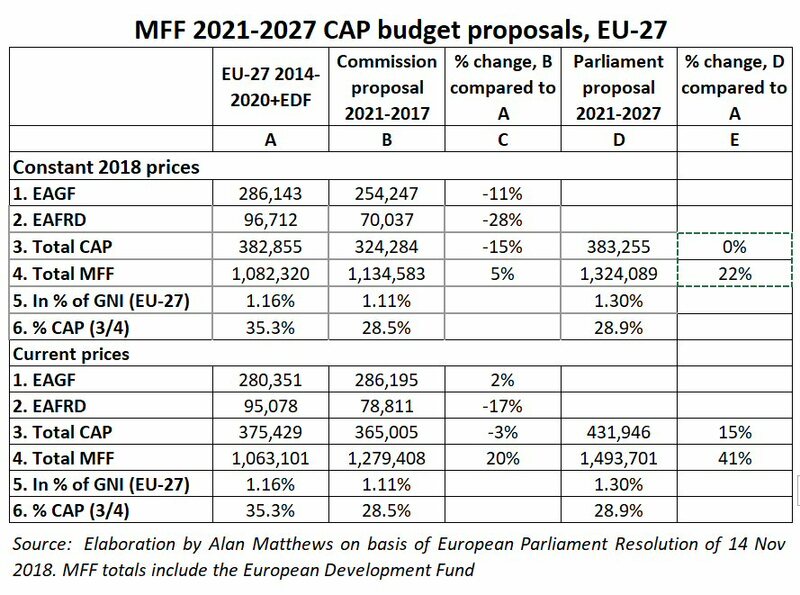 What the Parliament’s position on the CAP budget might be if the overall MFF total is not increased by its desired 22% remains to be seen. Disagreement over the size of the future budget can obviously delay agreement on the next MFF and thus potentially affect the timeline for the CAP negotiations as discussed above. What is less clear is how uncertainty over the budget might influence the outcome of the CAP negotiations. The assumption underlying this link seems to be that a more generous CAP budget would enable or encourage the co-legislators to agree on a CAP that would go beyond just farm income support and would allow the CAP to be more ambitious especially with respect to environmental and climate goals. Conversely, the implicit threat is that a lower CAP budget would mean a reversion to a more status quo CAP which would prioritise direct payments to farmers. 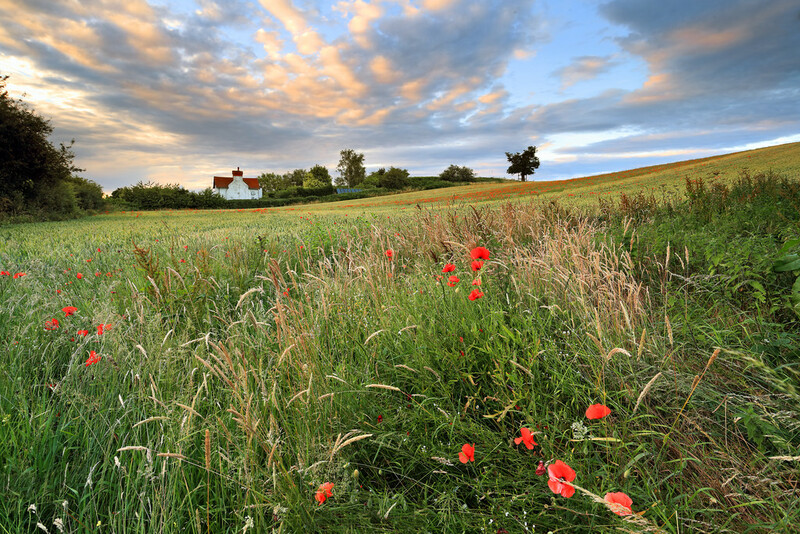 This approach is exemplified by the farm unions’ mantra that if farmers are asked to do more to reach environmental and climate objectives, then the CAP budget must be bigger to compensate them for the additional costs. However, I would have little confidence, if the CAP budget were increased beyond the Commission proposal, that the AGRI Committee would revisit its negotiating mandate and either remove some of its amendments that weaken the level of environmental and climate ambition compared to the Commission proposal, or seek to strengthen the level of environmental and climate ambition in the CAP regulations compared to the Commission proposal. In practice, I suspect the only way these outcomes might be brought about would be if the European Council, were it to agree to increase the CAP budget beyond the Commission proposal, insisted on ring-fencing the additional money for these purposes in its MFF conclusions. But this raises the competences issue that the Parliament feels so strongly about. These issues give a flavour of the way the debate over the MFF and CAP budget totals may have a bearing on the outcome of the CAP post 2020 negotiations. The third way in which the MFF negotiations can influence the course of the CAP negotiations is if the European Council decides to include detailed recommendations on the future CAP legislation in its political agreement. The inclusion of recommendations on sectoral legislation including the CAP in the MFF conclusions is deeply opposed by the European Parliament as it believes that it undermines its role as a co-legislator on this sectoral legislation. This was already a contentious issue in the 2013 CAP reform. The European Council MFF conclusions in 2013 included wide-ranging decisions on both financial and non-financial aspects of the CAP legislation for the 2014-2020 period. 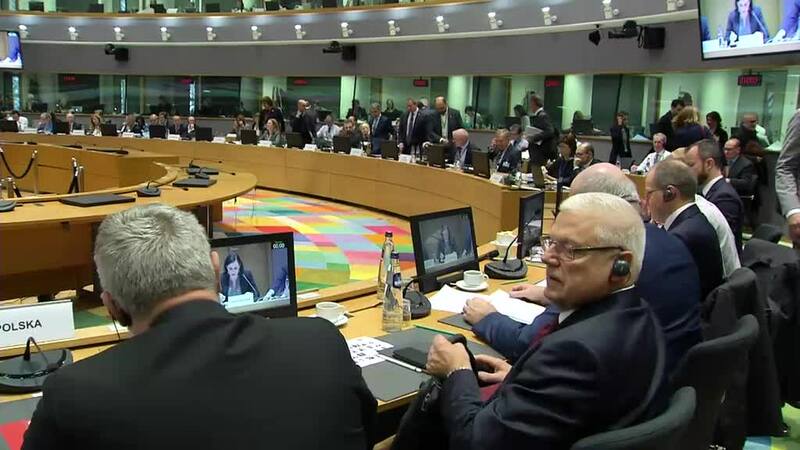 These elements of the European Council’s conclusions greatly complicated the completion of the trilogue negotiations on the CAP legislation between the Council and Parliament. In the CAP 2013 trilogue negotiations led on the Council side by the Irish Presidency, the Council’s initial position was that the elements covered by the MFF conclusions were non-negotiable. The Irish Presidency eventually made a slight concession (accepting a minimum level of mandatory degressivity on large payments in return for the Parliament’s agreement to take all other MFF issues off the table in the final trilogues). Thus, the final CAP agreement essentially reflected the decisions announced in the European Council’s MFF conclusions. The European Parliament in reflecting on the lessons to be learned from the MFF 2014-2020 negotiations was highly critical of the role of the European Council, and not only with respect to its interventions with respect to the CAP provisions (see the Parliament’s resolution entitled ‘MFF negotiations 2014–2020: Lessons to be learned and the way forward’ and the useful EPRS summary of this debate). The main criticisms included the fact that the European Council played a de facto legislative role by predetermining Council’s negotiation position and the lack of transparency in the European Council negotiations. As we will see, the same debate starts again in negotiating the CAP legislation post 2020. Following the publication of the Commission’s MFF proposal on 2 May 2018, working parties in the General Affairs Council engaged in technical clarification of the proposal, first under the Bulgarian Presidency and then under the Austrian Presidency. This clarification phase was completed by the end of July, after which the Presidency turned to identifying the possible elements of the draft Negotiating Box. This is a document setting out the allocations and options on all elements of the MFF and eventually forms the basis for agreement at the European Council. It has an evolving character and operates on the basis that ‘nothing is agreed until everything is agreed’. We can monitor progress through the series of public progress reports prepared for the General Affairs Council (the first prepared by the Bulgarian Presidency in June 2018, the first under the Austrian Presidency in September 2018 and the most recent update last month). The November update consists of a list of issues identified by the Presidency, structured by MFF Heading, on which Member State views are requested. At this stage, the Presidency has not presented any draft text for the Negotiating Box. The forthcoming European Council meeting on 13-14 December may give us some greater insight into the extent to which progress is being made on narrowing the differences on the MFF issues and whether a political agreement by the autumn of 2019 is a feasible goal or not. Much will depend on the ability of the Romanian Presidency to advance the MFF dossier when it takes over the Presidency in the first six months of 2019. This will be the first time Romania has held the Presidency since its accession in 2007. It got off to a rocky start when the Romanian President Klaus Ionnanis expressed the view in a dispute with the Prime Minister in early November that the country was not ready to take over the Presidency, though this quarrel now seems to be patched up. But even apart from technical competence, there is always the potential for outside events (a disorderly Brexit in March depending on the outcome of the vote in the UK Parliament on 11 December, or an Italian financial crisis) to blow its plans off course. The Parliament’s position on the MFF has been set out in a series of resolutions. This began with a resolution in October 2017 on the Commission’s Reflection Paper on the Future of EU Finances. The European Parliament’s Budgets Committee then prepared two reports ahead of the informal meeting of the European Council in February 2018 which were voted in plenary in March 2018. These set out the Parliament’s views on the future shape of the MFF and on the reform of the own resources system of financing the MFF. Together they set out the Parliament’s mandate for the negotiations. These resolutions were adopted prior to the publication of the Commission MFF proposal in May 2018. The Parliament has now reacted specifically to the Commission proposal and it set out its counter-proposals in its resolution of 14 November 2018 on the Parliament’s position on the MFF with a view to an agreement. The Parliament’s position covers ‘horizontal’ issues in the MFF (such as its duration, flexibility provisions, mid-term revision), own resources and financing issues as well as proposals on specific expenditure headings. On the scheduling issue, the Parliament is still pushing for agreement on the MFF during this parliamentary term in order to avoid any delays in the implementation of programmes after 2020. It regrets the slow progress of preparations to date and calls for the regular meetings between the successive Council presidencies and Parliament’s negotiating team to be stepped up and pave the way for official negotiations. We have already noted that this timetable is not considered a feasible one by the European Council which plans to reach a political agreement in the autumn of 2019. We have also discussed that the Parliament reconfirmed its formal position in this resolution that the level of the 2021-2027 MFF should be set at 1.3% of the EU-27 GNI, and that it called for the CAP budget for the EU-27 to be maintained at the level of the 2014-2020 budget in real terms. It also called for the initial amount of the agricultural reserve to be funded from sources other than the CAP budget, rather than financed by an initial deduction from direct payments as the Commission has suggested. Getting agreement on the EU’s MFF medium-term budget framework is always a fraught process, both because of the number of players involved (27 Member States plus the European Parliament) and the fact that each player has an effective veto on the outcome. The progress to date under the Bulgarian and Austrian Presidencies has involved technical clarification of the Commission’s proposal and the identification of a list of issues on which political guidance is required. The European Council meeting in December is expected to confirm its resolve to aim for political agreement in the autumn of 2019. The progress of the MFF negotiations can affect both the timing and content of the negotiations on the CAP post 2020 legislation. As regards timing, the Parliament is pressing ahead to agree its negotiating mandate prior to the elections in May. Even if the Council were ready, it seems impossible that trilogues could begin until the new Parliament is in place and new rapporteurs appointed after July 2019. It will be up to the new Parliament to decide whether to enter the trilogues based on any mandate agreed in this Parliament or whether to start afresh. In any case, I argue that the Council will not be able to finalise its general approach until the European Council reaches political agreement on the MFF, as this forms the basis for its negotiation mandate. Provided the European Council reaches MFF conclusions by the autumn of 2019, the trilogues could be completed successfully in early 2020, thus allowing the new CAP to enter into force on 1 January 2021. But there are many uncertainties and potential stumbling blocks which could throw this schedule off course. One of the obstacles concerns disagreement over the size of the MFF and the CAP budget. The Parliament has put forward a substantially higher MFF budget than what the Commission has proposed. This allows it also to propose an increase in the CAP budget in nominal terms. While several countries have indicated their willingness to increase their EU budget contributions, I am not aware that any have supported the Parliament’s position. Disagreement over the size of the CAP budget in the European Council’s MFF conclusions could be one factor that might delay agreement on the CAP regulations file. Another issue is the extent to which the European Council MFF conclusions get into the detail of the CAP legislation which then become part of the Council’s negotiating mandate for the interinstitutional negotiations, and whether the Council shows any willingness to compromise on these issues during the trilogues. The Parliament would then have to decide how far it is prepared to accept this pre-emption of its competences as a co-legislator on the CAP legislation file, and what might be the consequences if it is not. This issue will make the trilogue negotiations even more difficult. For these reasons elements of the budgetary framework play an important role in the CAP legislation negotiations. They should be closely watched.